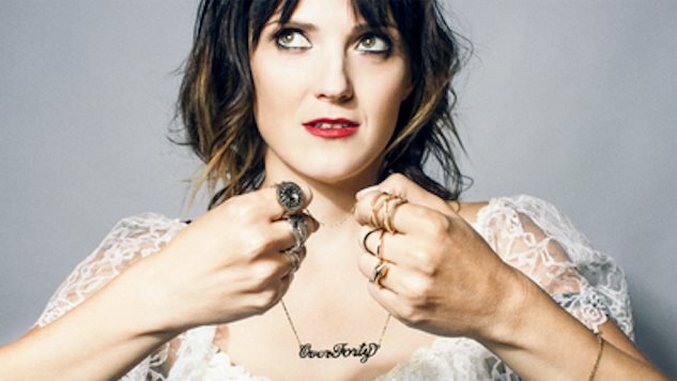 You probably know Jen Kirkman from her recurring appearance as a round table guest on Chelsea Lately. Since the show’s end in 2014, Kirkman has been pretty busy making a name for herself. Her Netflix specials I’m Gonna Die Alone (And I Feel Fine) and Just Keep Livin’? (which hit number two on our list of the ten best stand-up comedy specials of 2017) were met with praise. Now, Kirkman is going on tour with new material, and she promises it’s not all about Trump. On her All New Material, Girl Tour, first announced back in February, Kirkman will discuss her own experiences with “fraudulent spirit healers, holidays without family, being accused of not being ‘woke’ by young people and tales of when she was a young, obnoxious third party voter and pretentious hater of pop culture,” per a press release. We’re excited for this chapter of Jen Kirkman’s life. Check out Kirkman’s tour dates below.